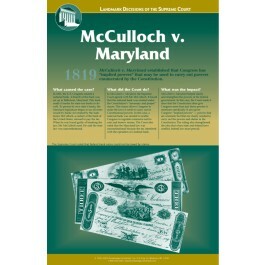 This educational poster focuses on the landmark Supreme Court case known as McCulloch v. Maryland, one of the most important and influential decisions of the high Court. It describes the events that led up to the case, the Court's decision, and its impact on our nation. In the 1819 decision of McCulloch v. Maryland, the Court ruled that Congress has "implied powers" that may be used to carry out powers enumerated by the Constitution. 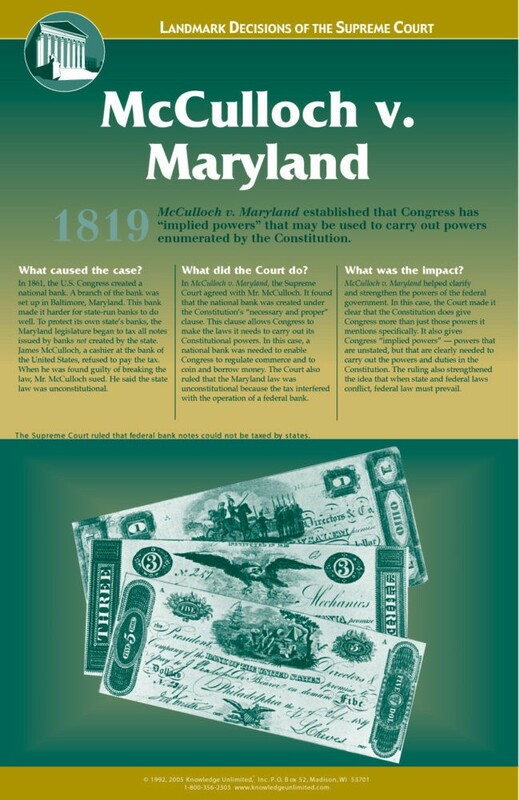 This poster is a great way to introduce students to how the Supreme Court strengthened the idea that when state and federal laws conflict, federal law prevails.